"Thank you for your prompt response. The sign letters arrived just in time for my grand opening party for my restaurant. They came out gorgeous!!!! Thank you so much." "I just wanted to thank you and let you know the plastic letters look great and we are extremely happy with the way it turned out!" "BEAUTIFUL! 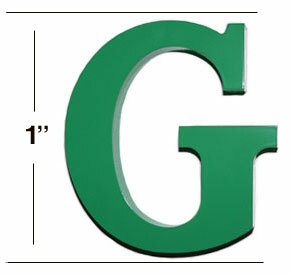 My client is completely thrilled with the metal letters...and so am I! Thank you again for helping this project turn out looking even better than I had hoped!" "My order arrived today and the letters look great. The font, finish and dimensions are just as I wanted. Nice work." Copyright © 2019 BuySignLetters. All rights reserved.